Muddy says: New owners have breathed new life into this pub on the Cambridgeshire/Essex border, with a welcoming locals’ vibe where children, dogs and muddy boots are equally made at home. The Plough in Great Chesterford is a quintessentially beautiful, English country pub, whose new owners, Samantha and Simon are very proud of what they have achieved in their short time of running the pub/restaurant, which is reflected in the large number of five star reviews across various social media sites. 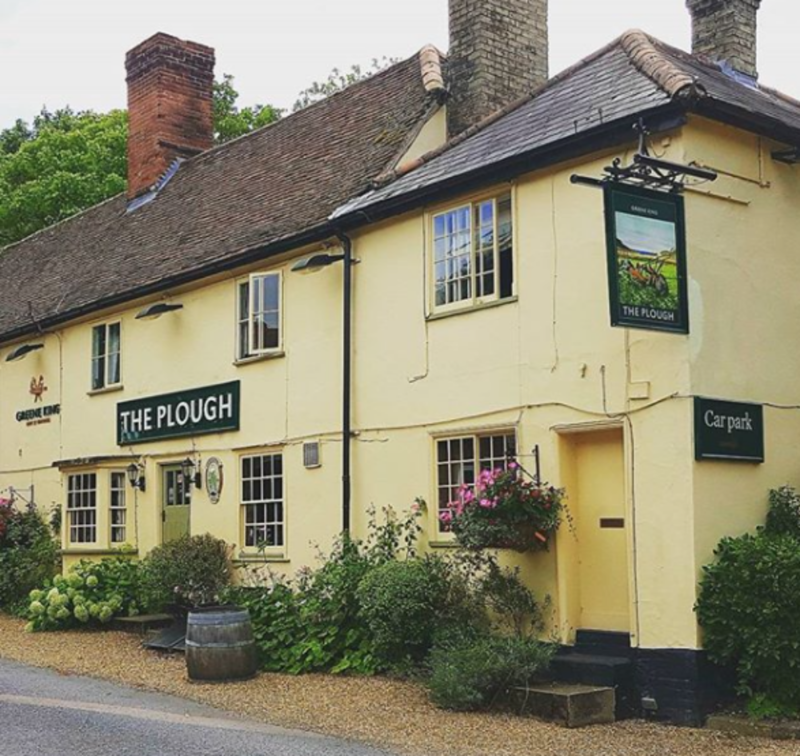 The Plough is moving in a new direction offering the highest levels of hospitality, a warm and friendly welcome and professional staff to look after your every need. Sunday lunches are a sell out each and every week and booking is essential to ensure you can be seated and try for yourself. With a selection of sirloin beef, chicken, pork belly and a vegan nut roast on the menu, all served with seasonal vegetables and yorkshire puddings, The Plough ensures it caters for everyone’s dietary needs and requirements. In fact they have a number of vegan, vegetarian, gluten and dairy free options on the menu at all times. With extensive outdoor areas including gardens, an outside bar and plenty of parking, it will be the summer months when they truly make their mark on the community. A packed diary of outdoor family events planned including ‘The Dog Oscars’, a comedy weekender and a cheese and wine festival, means that this summer you need to make The Plough in Great Chesterford your go to Pimms and BBQ pub! Children, dogs and muddy boots welcome!